For 40 years, V.E.P. 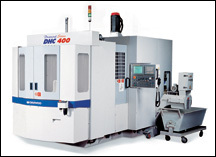 Manufacturing Inc. has been a family owned and operated precision CNC machine shop. The company offers a variety of services, including machined assemblies, welding, and fabrication. From prototype work to 20,000-piece production runs, V.E.P. can fulfill all machining requirements. The company welcomes its customers to tour its 10,000-sq-ft facility. For more information contact V.E.P. Manufacturing Inc.